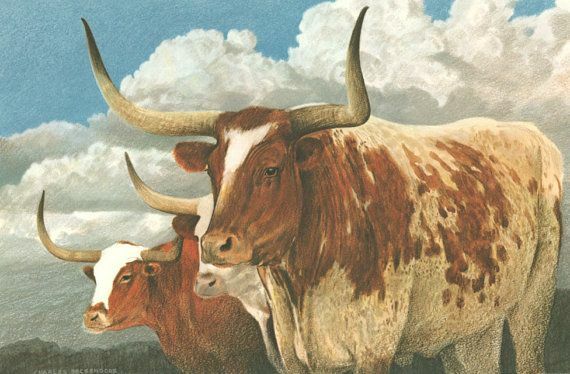 "Texas Longhorns" is a 15" X 20" print of two longhorns standing under a Texas sky. Featured in "Images of Texas - Book II", this limited print was completed in watercolor and color pencil. 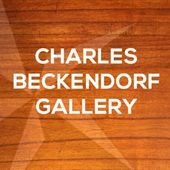 The classic Texas Hill Country art of Charles Beckendorf has been enjoyed for generations. Framing and matting available. 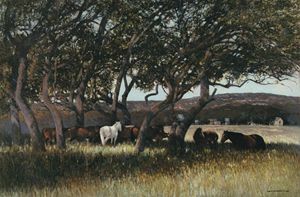 Contact us for detailed information about this and other Texas art prints. 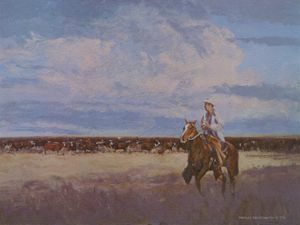 Charles grew up in Mathis, Texas, where generous land owners gave him permission to wander freely over their ranches and he observed creatures in their natural surroundings. Art classes were not offered in the Mathis schools, and most of Charles’ teachers were annoyed with his innate interest in drawing. The U.S. Air Force Korean War veteran would go on to earn a Fine Arts Degree and work for several years as a technical illustrator, where his work appeared in Lone Star Beer and Texas Game and Fish Magazine advertisements. 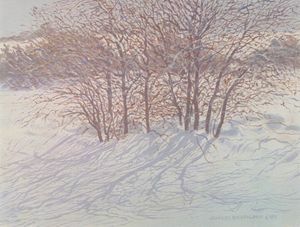 In the early 1960s, Charles did a series of pen and ink prints as a trial to see if there would be an interest. 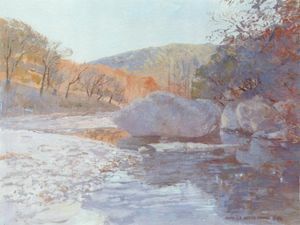 They were a success, and he would go on to produce prints and watercolors that would make him a household name as a Texas Hill Country artist. 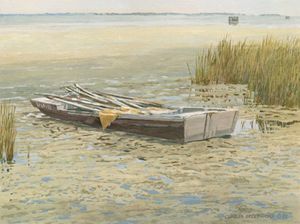 His work began to appear in sporting goods stores, restaurants, icehouses, and art galleries throughout the state of Texas. 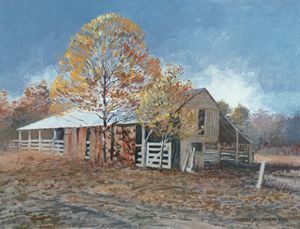 Since clients from around the state traveled to Charles’ residence outside of Fredericksburg to purchase his prints and paintings, he thought perhaps he should have a gallery in town. 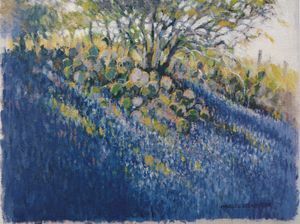 He said, “Any fool artist who opens an art gallery in Fredericksburg, Texas, should open on April Fool’s Day”. 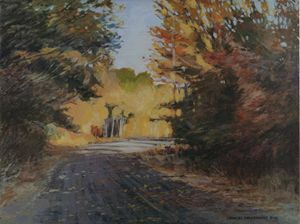 On April 1, 1971, Charles and his wife, Dawn, opened their first gallery. 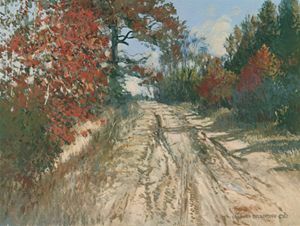 From the very first black and white prints of 1964 through his passing in 1996, Charles Beckendorf painted thousands of originals and prints in all mediums, sculpted several bronzes and published six books.